We are surrounded by mobile devices, smart phones and the unwired information consumers who are now getting used to getting information when, where and what they need. According to Gartner's report most BI projects are meeting the where and when but are seriously lacking in the what of business intelligence. My translation of this is that over 70% of reports in your production system Today enterprises are delivering over 5 billion gigabytes of information on a daily basis. While many corporate analysis and business stakeholders are inspired by the opportunities of finding business diamonds in the domain of big-data and get more insights into true business value. However, before we go and jump into this big data technologies there are three critical decisions all stakeholders need to filter through. The traditional business intelligence technocratic methodology believed that if we collect all the data then we should be able to meet any information needs. This is how we have built our SAP BW environments, and other BI environments over the last two decades. Paradoxically, what our business value audits empirically prove is that this methodology actually makes it harder to find business value. Sometime it simply makes it totally impossible. Moving forward companies need to focus on business needs and expectations and not the data. This kind of turns around the legacy methodology on its head but this is now proving to be core implementation best practice as we redefine best practices for BW on HANA migrations. Companies need to focus on decisions and information flow that assists business take better decisions. To use the space age analogy no one would build a rocket and blast it off with astronauts without deciding whether the rocket was going to the moon or Mars. Nor would be send a cruise ship out, loaded with passengers, but without having a clear destination and route. 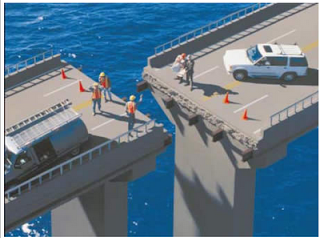 However, we continue to build our BI environments exactly like that. The only exception to that is Christopher Columbus who was actually planning to go to India but ran ashore in the Americas – that is how the Native Americans probably got to be called as Red Indians. So the key here is ‘Plan your work and only then work your plan. Before we do anything in the new Big-Data nexus, it is most critical to firstly not get distracted by the size of the databases out there. Secondly it is critical to let business define exactly what their needs are. We need to set the stage for extracting business value from the data and not loading our new environment with redundant data elements. Rather than collecting data first we need to work backwards from decision enablement and business benefits and then identify the data required to support those decision analytics. It is no longer beneficial to take a technocratic approach of collecting data and just producing interesting information – hoping business can use it. Their legacy reports, ran once a month, provided customer churn data, i.e. information of customers that had dropped their services and possibly gone to another provider. This report was a monthly report. These reports are reactionary. For level 2 analytics the first goal was to provide at least a 60 day prediction based on empirical reasons as to why customers dropped them as a provider. Their Business Value architect recommended they talk to select store managers and business stakeholders. These were contacted to identify the main reasons customers were dropping. Within three weeks the front line managers identified 5 reasons that made customers drop and change to another provider. The first reason was dropped calls when coverage dropped from 4G to 3G. The second reason was customers being locked to current phone models by contract, and so on and so forth. It was also noticed that most of these customers contacted their stores with these concerns, and texted to their friends for alternative solutions. In most cases the stores had no way to collect this customer issue, not communicate it to the company. So the complaint went untracked and with no response other that that's how we do business. In a matter of 6 weeks they identified the need for a system whereby store managers would be able to track these specific 5 attributes when their users came into their store. They also sent out emails and texts to all their users asking them if they faced any of these issues. Thirdly they started tracking texts on these 5 attributes form their own devices. By identifying customer churn reasons, the enterprise proceeded to define clear KPI's that needed to be tracked by the business stakeholders. These new KPI's now enabled sales and marketing to now predict churn by 90-120 days. Using the new data the analysts could now predict with higher certainty customers who could not only be leaving the company but the exact reasons they would be doing this for. This led to marketing developing specific solutions that were then communicated to their help-line support. The new model not only predict but also prescribed the exact answers the help-line was supposed to respond with along with solutions tailored for specific issues customers were facing. Using this prescriptive analytics, based on predictive information the company was able to decrease churn by 82%. Due to these new initiatives they not only decreased churn but were able to launch marketing promotions that let them gain new customers to the tune of 13%. The company also launched Trade promotions and marketing solutions based on specific customer issues when they reached a certain threshold, for example free upgrade to newer models without contractual penalties. The second was that the company would take all the transfer burden from competitors. This approach differs from the traditional data collection and technocratic approach of IT- collect data --> build reports --> give it to business, i.e. creating reports in assumption of the business benefits and without direct business participation. This recommendation represents a 180 degree turnaround. Find business needs --> Define deliverables --> Now collect required data --> Build analytics --> Meet business expectations. Now instead of facing data we face business users and consumers. Moving forward companies that continue to take technocratic decisions that are data facing will end up create more data and not necessarily more information. They will not be able to enhance the enterprise decision capabilities. However, companies that hold their technocrats resources and turn them 180 degree around to face their business users to understand their needs, with a collaborative approach and business goal, will truly add business value, enhance business decisions and deliver higher business benefits. They will consistently leave competition breathing dust as they speed forward and most important of all save considerably in cost of deployments by optimizing their assets utilization.